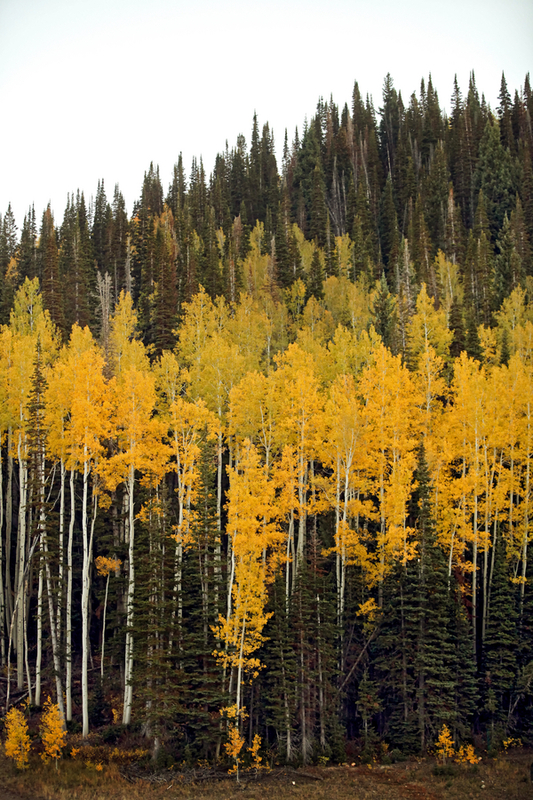 Today’s feature is a bit of a departure for us, set as it is, in the unbelievably gorgeous mountainside of Utah during the fall. 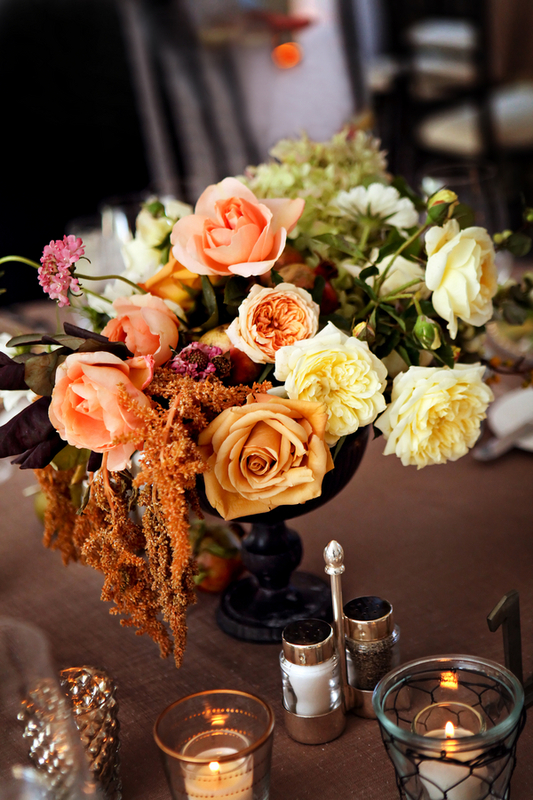 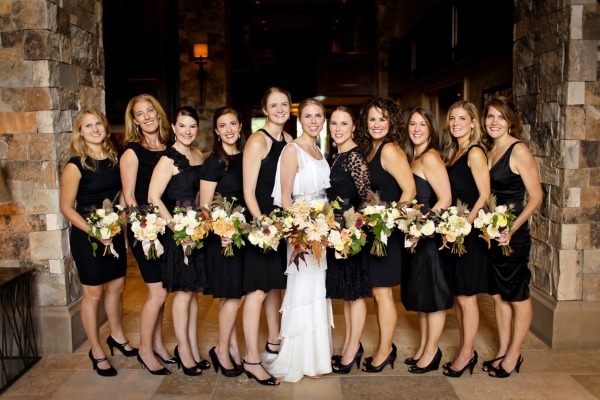 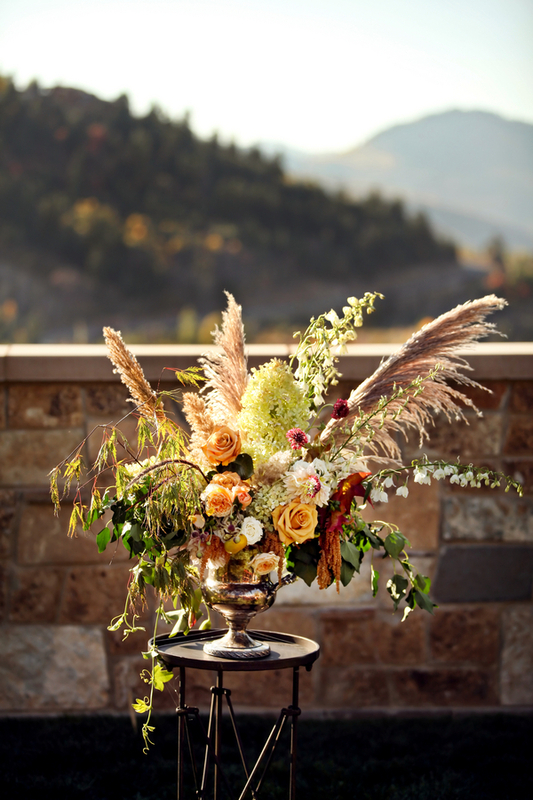 With jaw-dropping floral design from Sarah Winward of Honey of a Thousand Flowers and the rich, earthy hues of autumnal splendor everywhere, it’s all too easy to be seduced by the unique beauty captured in the lens of Pepper Nix Photography! 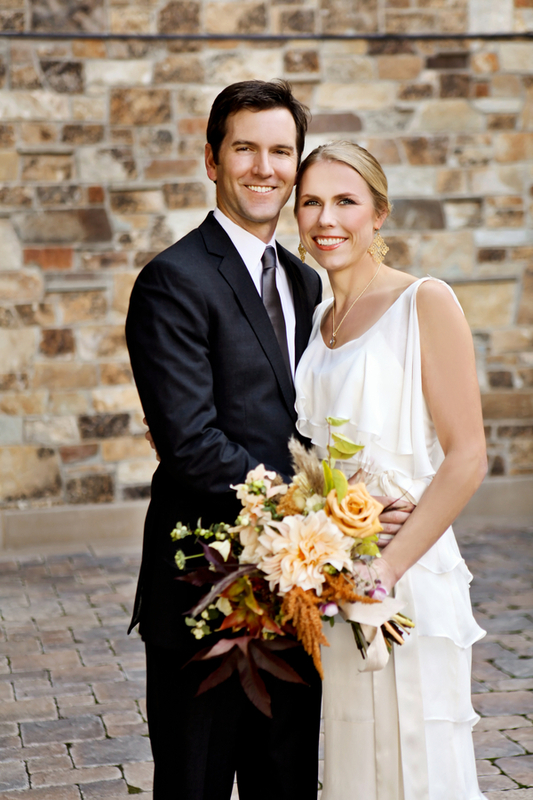 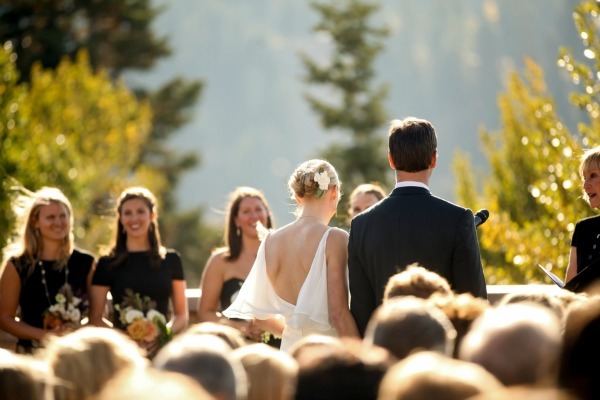 From Sarah Winward: Chris and Meredith celebrated their one year vow renewal and wedding The St. Regis Deer Valley in Park City, Utah. 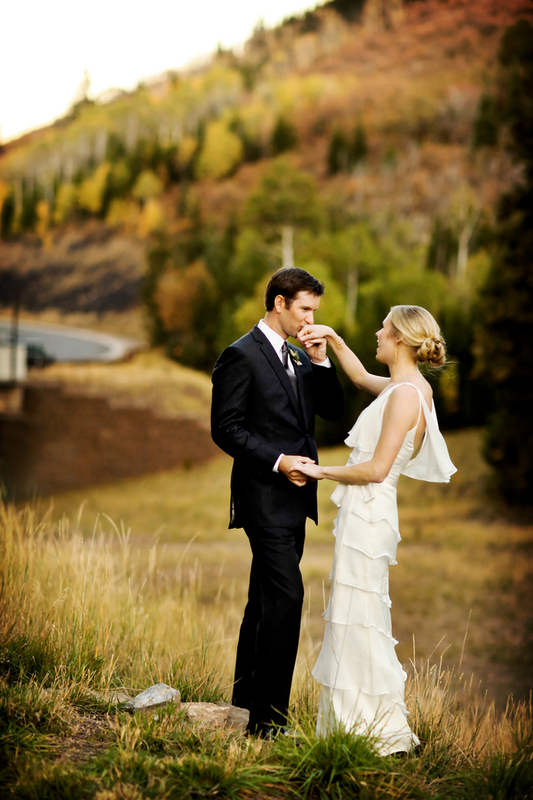 In the mountains, the trees were in full color, creating a wonderful setting for their event. 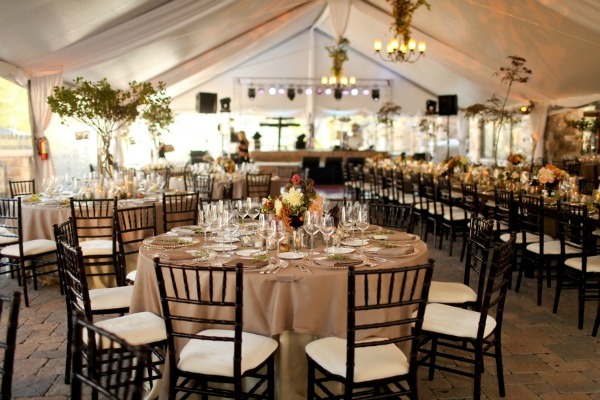 A long head table was placed down the center of the tent where they sat with all of their friends. 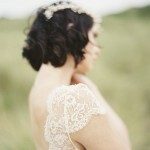 Like her mother and grandmother did on their wedding day, the bride wore a gardenia in her hair. 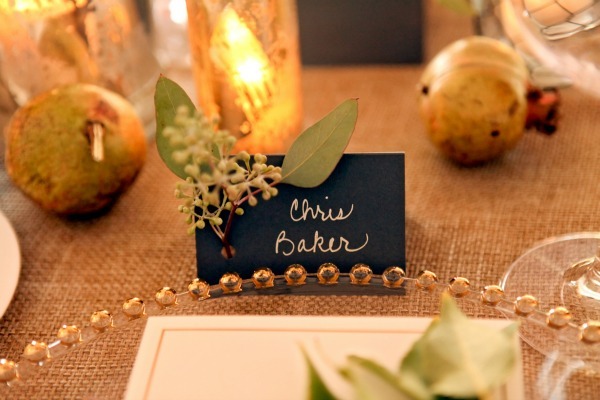 The bride’s mother contributed many of the details, such as hand writing all of the guest’s name cards. 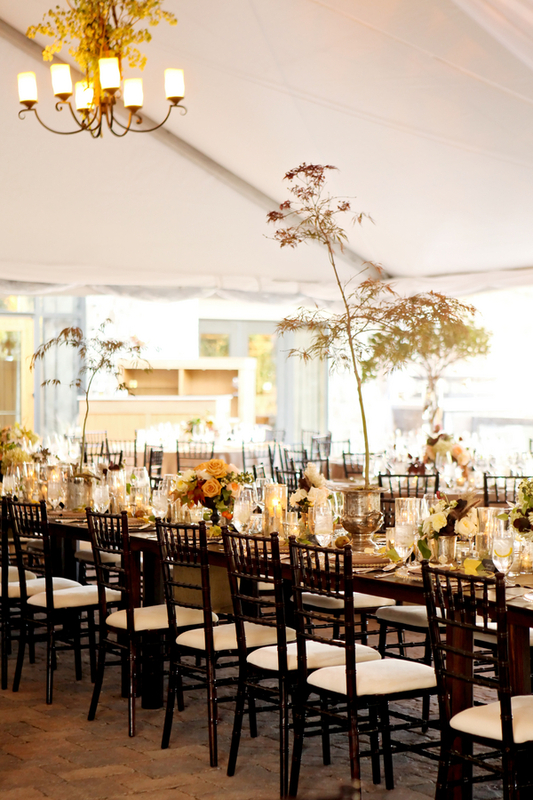 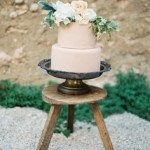 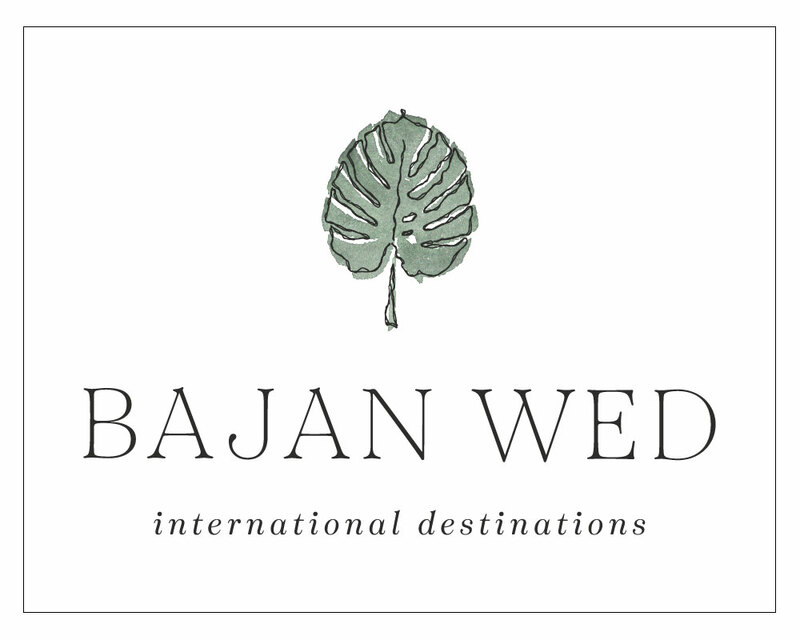 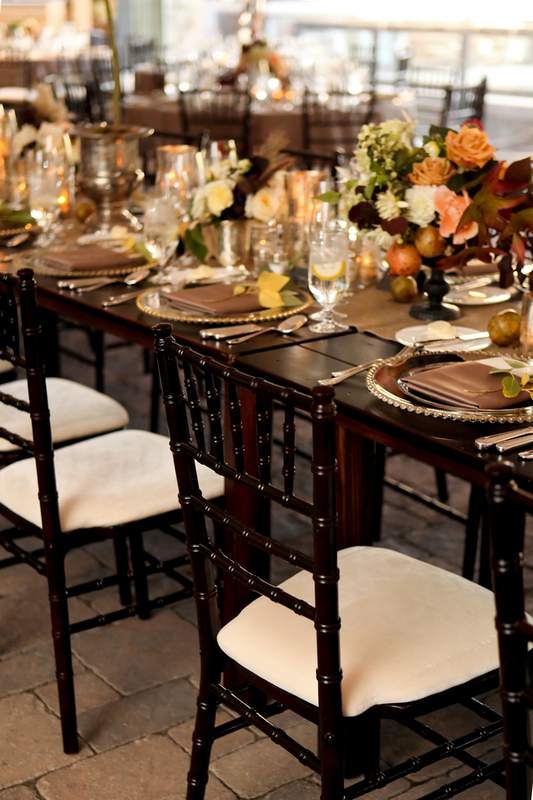 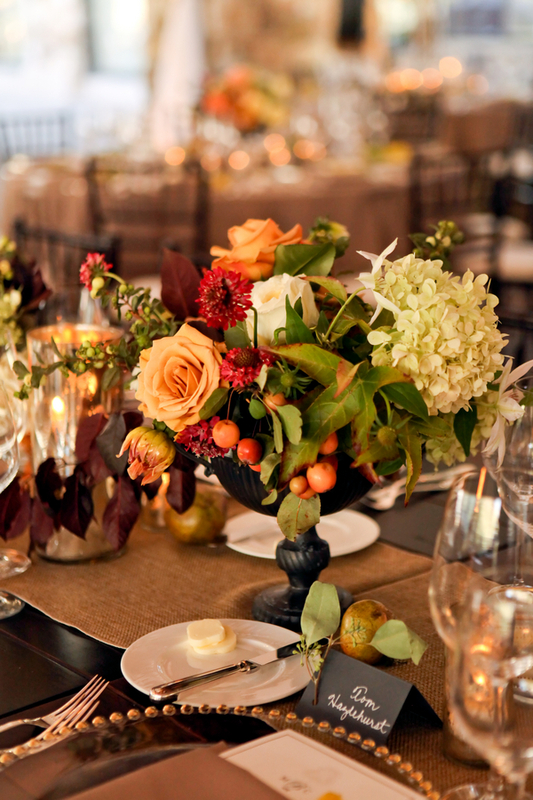 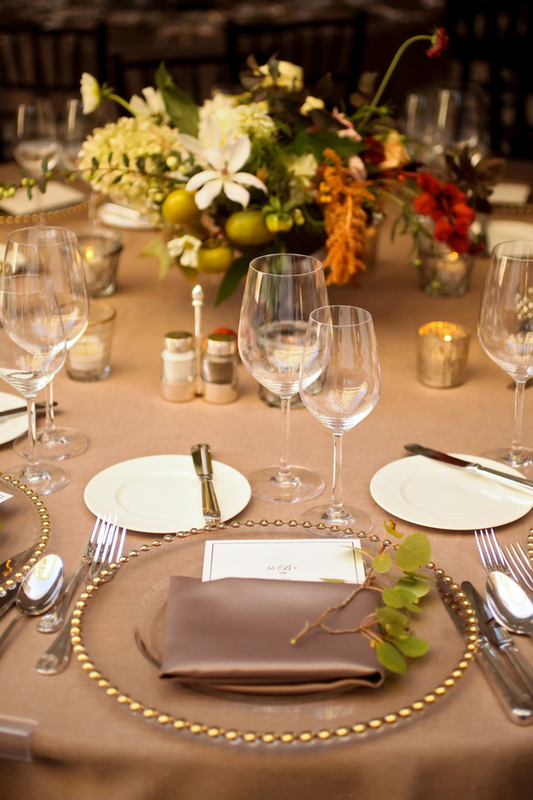 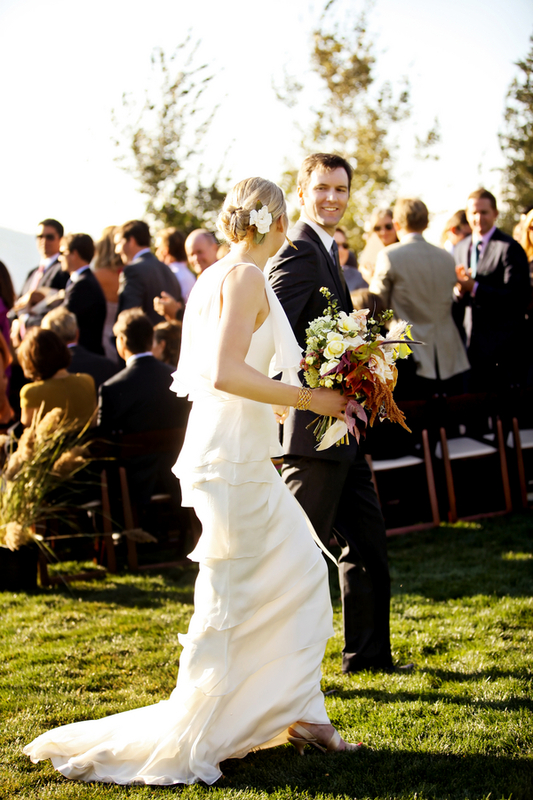 The cozy, candle-filled wedding unfolded on a perfect autumn day!